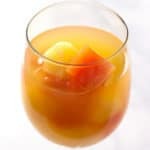 Tropical Sangria – A simple sangria recipe made in minutes with coconut rum, pineapple juice, white wine, and mixed tropical fruit. 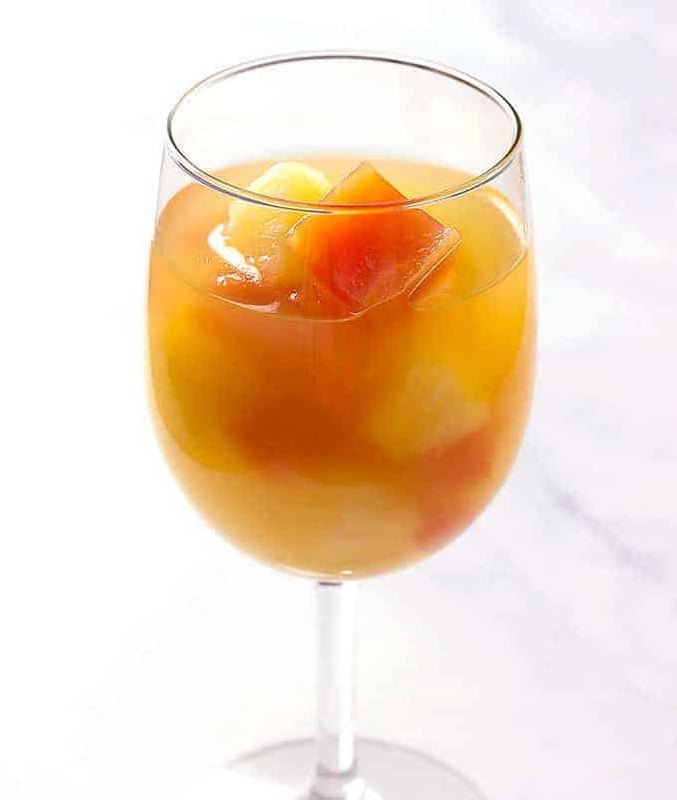 I took a major shortcut by using precut fruit in this tropical sangria recipe. I love fresh tropical fruit, like mango and pineapple. But, they’re some of the most cumbersome fruits to chop up. 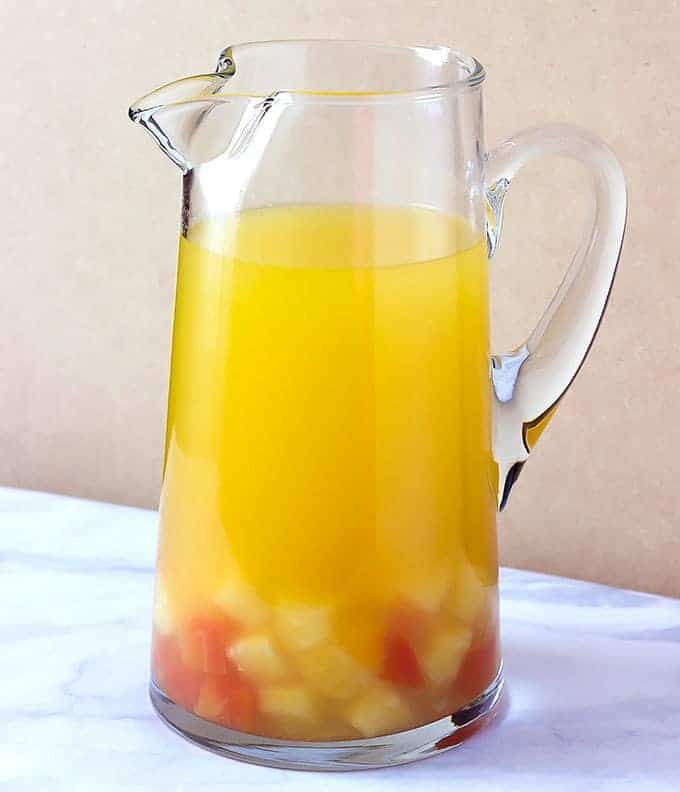 Using some quality jarred tropical fruit in fruit juice makes this sangria quick, easy, and so good! I used Malibu rum, but any coconut flavored rum will work. Use a white wine that you know you like. If you typically like dry wine, try something like a pinot grigio. If you know you like sweet wines, try a riesling or moscato. You may also like my insanely popular Caramel Apple Sangria recipe. Add all of the ingredients to a large pitcher. Stir well. Serve immediately over ice, or chill for at least one hour. Use a ladle to help get the fruit into the wine glass. I’m totally planning to make sangria tomorrow for my friends and for a recipe! My mom swears by bananas! I love sangria recipes, especially quick ones. I never thought to use fruit from a jar or can! I love that you used jarred fruit!!! Sangrias are one of my favorite weekend cocktails, but chopping all the fruit is always a chore. I can’t believe I never thought to use jarred fruits! Can I use something other than wine? Not a wine drinker, but the drink looks good.